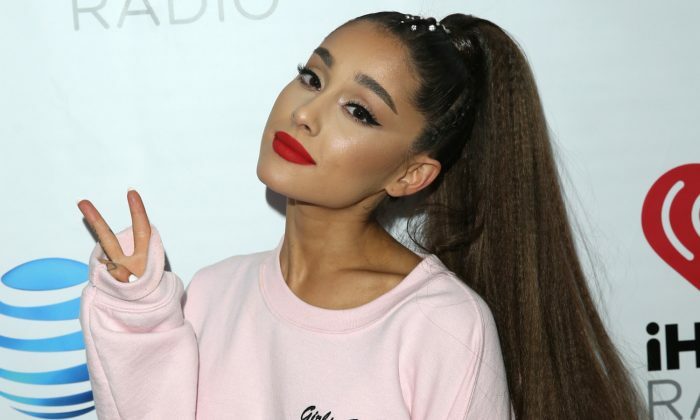 Pop singer Ariana Grande posted a photo of a scan of her brain that appeared to show levels of post-traumatic stress disorder (PTSD). Grande was present during a terrorist bomb attack that took place at one of her concerts in England in 2017. Posting on Instagram stories, she wrote that it was “hilarious and terrifying.” She included photos of a healthy brain and a brain with PTSD. “Not a joke,” she added, reported the New York Post. “It’s hard to talk about because so many people have suffered such severe, tremendous loss. But, yeah, it’s a real thing,” she told Vogue last year about the incident. “I think a lot of people have anxiety, especially right now. … My anxiety has anxiety… I’ve always had anxiety. I’ve never really spoken about it because I thought everyone had it, but when I got home from tour it was the most severe I think it’s ever been,” she said. After the attack, Grande, 25, told Elle about physical problems she had suffered. In the bombing, 23 people died and more were injured when a suicide bomber detonated a homemade bomb in the Manchester Arena. The bomber was identified as 22-year-old Salman Ramadan Abedi. Reports said he had met with ISIS members in Libya, and at the time, ISIS claimed responsibility for the attack. “This is just the beginning,” the terrorist group said. Daniel Amen, a doctor who specializes in brain scans, said Grande’s brain scan showed she had PTSD. “Trauma can leave a lasting impact in your brain and we can see it with SPECT imaging. And you can treat it with medication or therapy! But without pictures, you’re throwing darts in the dark at people,” Amen told the Daily Mail.